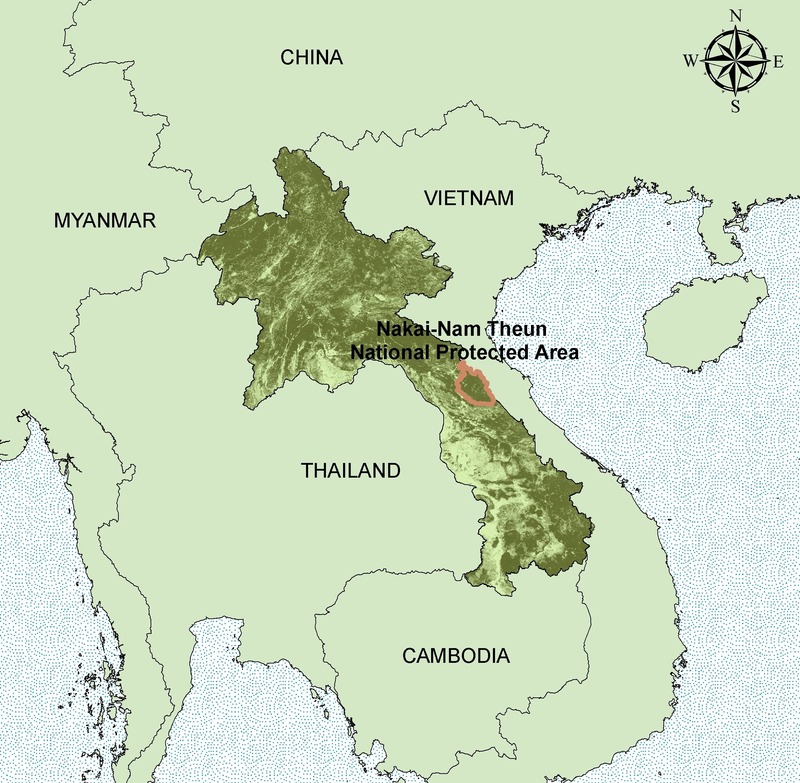 Nakai-Nam Theun National Protected Area (3500 km2) is one of the largest remaining contiguous forest blocks in the Indochinese peninsula and holds numerous rare, endemic and highly threatened species. It falls in the heart of one of the richest regions of Southeast Asia in terms of biodiversity and endemism (Catullo et al., 2008) and is one of the identified ‘Key Biodiversity Areas’ within the Indo-Burma biodiversity hotspot (Tordoff et al., 2012). 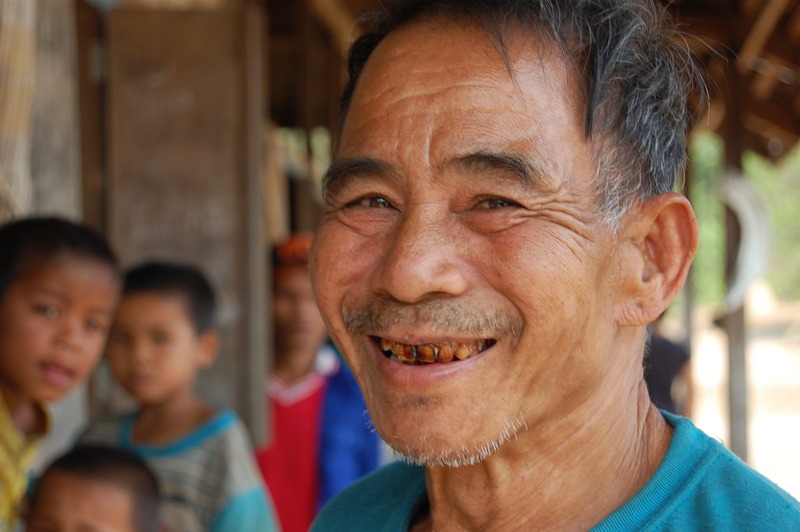 In Laos, Nakai-Nam Theun is ranked as the highest priority for its National and Global biodiversity importance (Robichaud et al., 2001). This is notably due to its geographical location in the Annamite Mountains with a unique climatic pattern and ecosystem characterized by a very high species richness and endemism. 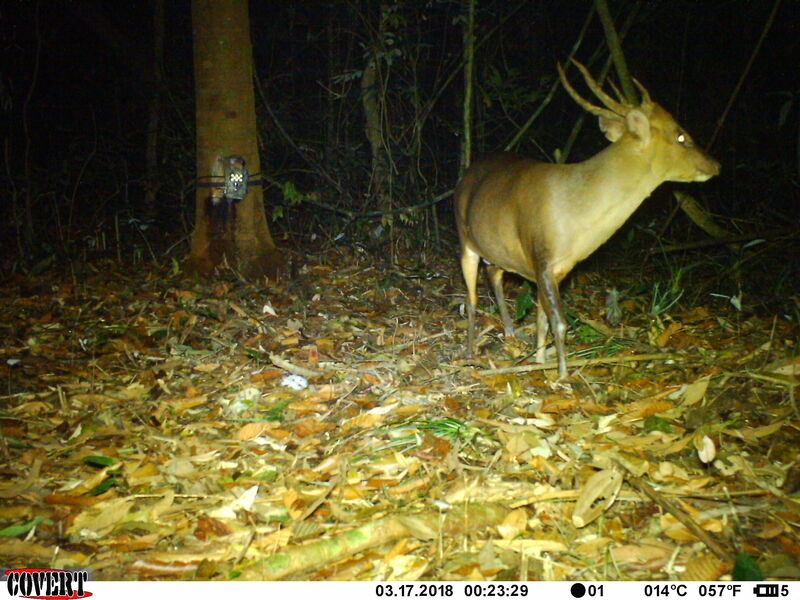 The Annamite Mountain range is where some of the last large mammals discoveries took place (Critically Endangered saola Pseudoryx nghetinhensis: Dung et al., 1993; Schaller and Rabinowitz, 1995; Critically Endangered large-antlered muntjac Muntiacus vuquangensis: Tuoc et al., 1994; Schaller and Vrba, 1996; Data Deficient Annamite muntjac M. truongsonensis: Giao et al., 1998; Timmins et al., 1998); Data Deficient Annamite Striped Rabbit Nesolagus timminsi (Averianov et al., 2000). In addition, to the latter species, a large number of Globally Threatened (Vulnerable [VU], Endangered [EN] and Critically Endangered [CR]) and Near Threatened species (as listed in the IUCN Red List of Threatened Species) and/or endemic species occur in the area including: VU Gaur (Bos gaurus), EN Asian Elephant (Elephas maximus), VU Sambar (Rusa unicolor), NT Chinese Serow (Capricornis milneedwardsii), VU Smooth-coated Otter (Lutrogale perspicillata), VU Asian Small-clawed Otter (Aonyx cinereus), NT Eurasian Otter (Lutra lutra), CR Chinese Pangolin (Manis pentadactyla), CR Sunda Pangolin (Manis javanica), EN Red-shanked Douc (Pygathrix nemaeus), EN White-cheeked Gibbons (Nomascus spp. 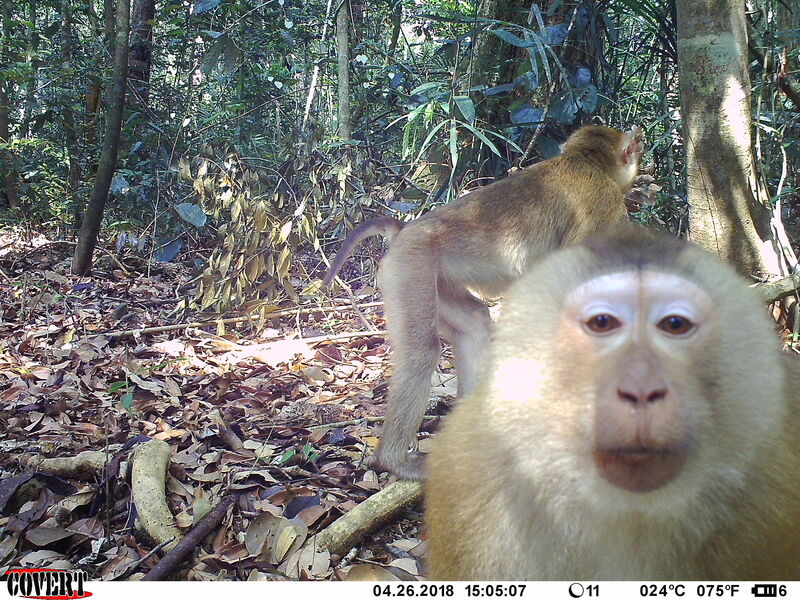 ), VU Pig-tailed Macaque (Macaca leonina), VU Stump-tailed Macaque (Macaca arctoides), NT Assamese Macaque (Macaca assamensis), VU Asiatic Black Bear (Ursus Thibetanus), VU Sun Bear (Helarctos malayanus), EN Dhole (Cuon alpinus), NT Marbled Cat (Pardofelis marmorata), NT Asiatic Golden Cat (Catopuma temminckii), VU Clouded Leopard (Neofelis nebulosa), EN Owston’s Civet (Chrotogale owstoni), VU Binturong (Arctictis binturong), VU Hog Badger (Arctonyx collaris), EN Crested Argus (Rheinardia ocellata), VU Great Hornbill (Buceros bicornis), VU Roufous-necked Hornbill (Aceros nipalensis), NT Brown Hornbill (Anorrhinus austeni), CR Indochinese Box Turtle (Cuora galbinifrons), VU Impressed Turtoise (Manouria impressa), VU Southeast Asian Box Turtle (Cuora amboinensis), EN Keeled Box Turtle (Cuora mouhotii). Southeast Asia has long been identified (including by the IUCN) as being the region of the world with the highest biodiversity extinction risk principally from unsustainable harvesting of forest resources (Duckworth et al., 2012; Sodhi et al., 2010; Hughes 2017; IUCN, 2014) and this pattern is observed throughout Laos (Nooren & Claridge, 2001) and in Nakai-Nam Theun (e.g. Robichaud et al., 2009). 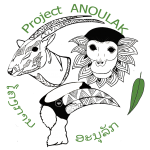 The wildlife in the region is severely threatened by illegal hunting, for local consumption and for the international trade. Nakai-Nam Theun shares a border of about 160 km with Vietnam, which increases pressure on wildlife from illegal poaching by Vietnamese poachers. Illegal hunting from Lao hunters has dramatically intensified in the past two decades as trade value of wildlife has increased. Most hunted wildlife from Nakai-Nam Theun is sold to Vietnamese and destined for Vietnam or China for traditional medicine use but wildlife is also hunted for local consumption or national trade (Harisson et al., 2016). 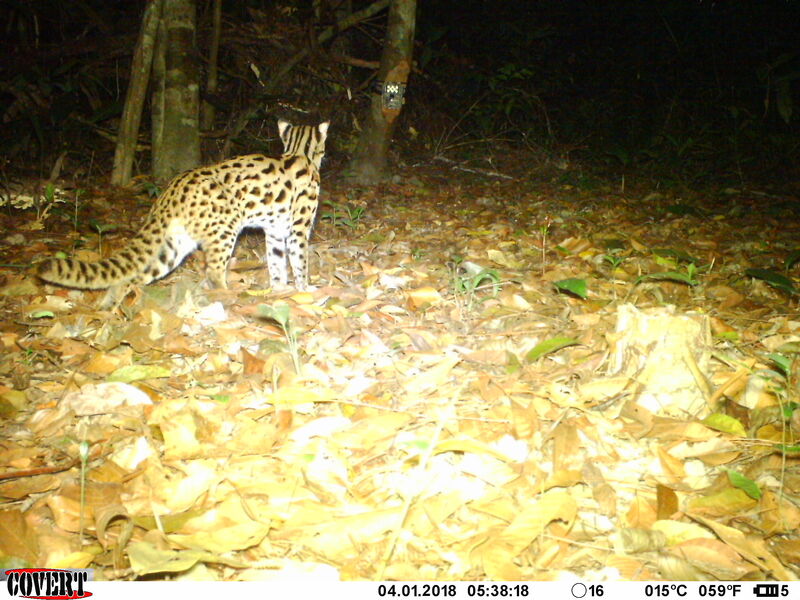 Some species have already significantly declined including cats, small carnivores, primates; while others have been extirpated such as tiger, Javan Rhinoceros and likely leopards (Robichaud et al., 2009; Coudrat et al., 2014a; Coudrat et al., 2014b; Gray et al., 2017; Rostro-Garcia et al., 2016) and it is expected that without control over unsustainable harvesting, the most hunting-sensitive and most sought-for species could face local extinction in the near future (e.g. saola; large-antlered muntjac, primates, medium-sized cats, pangolins, turtles). The livelihoods of the different ethnic groups are essentially based on upland rice shifting cultivation and lowland rice paddy fields. This is often combined with small home gardens for vegetables, culinary herbs and/or other cropping fields for maize or cassava for home consumption or livestock feed. Many households also raise livestock (cows, buffalo, goat, pig and poultry) which are either locally consumed or sold for cash income. For both local consumption and trade, local communities also widely practice fishing, collection of non-timber forest products and hunting. Other income generating activities include seasonnal farming labour (field clearing; rice transplantation; rice harvest; field fencing …). Most households still face rice shortages each year forcing them to find cash income and buy rice for the rest of the year. In addition, food security remains highly dependent on foods collected in the wild. 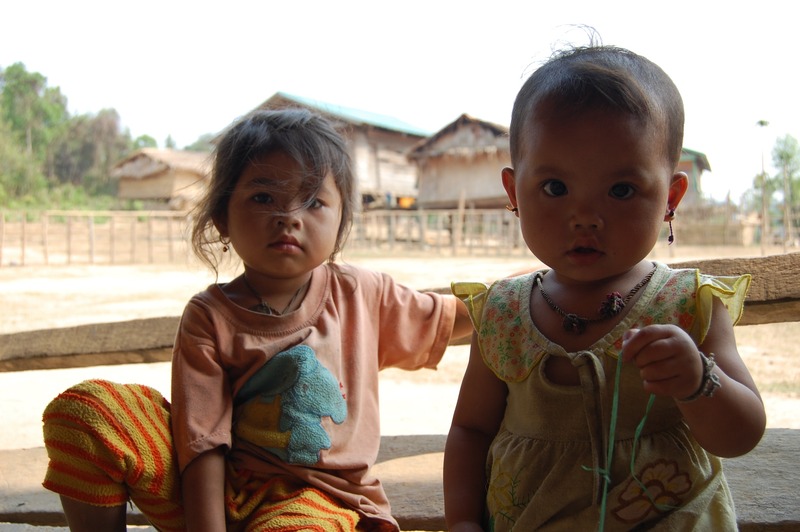 Without access to food collected from natural resources (wildlife and plants), local communities do not meet their basic nutritional requirements.